As all gardeners know, gardens are a work in progress, requiring regular attention to remain healthy and attractive. 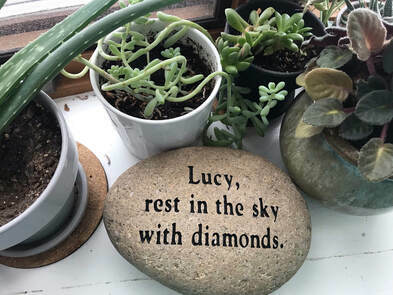 A gift of $75.00 enables Whitefish Bay residents, friends and family to have an engraved Celebration Stone placed around the border of the Cahill Park Butterfly Garden, or delivered to your home for use in your own garden. 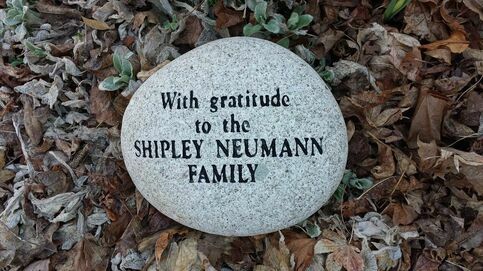 Please consider adding this beautiful stone to one of our gardens or to your home garden. The smooth, natural stones are approximately 10 inches in diameter and vary in color (see examples above and below). For more information and to order your Celebration Stone, please download the below tri-fold brochure and order form located at the bottom of this page. We invite you to email us at wfbgardenclub@gmail.com with any questions or for more information.